This one’s for Sydney Anglicans and those interested in them. Oh, and also they need to have a sense of humour. Anyway, I laughed ’til I cried. I really did. It’s the most I’ve laughed in ages. Snape is easily the most interesting and tragic figure in the Harry Potter books. And yes, the most heroic. All this comes through more clearly in the films, I think, than the books – Rowling is not good at pathos. But in Yates’s (last four) films, there is true depth of feeling in Rickman’s Snape. On the surface of it, the double-agent thing creates a situation marvellously complex and ambiguous. We are allowed to hate Snape along with Harry all the way through, only to have that antipathy turned on its head at the end. But there are deeper veins running in Snape’s story. Beneath his life of shifting allegiances, Snape’s love for Lily Potter is the one constant. While everything else in his makeup drew him towards the death-eaters, eventually that love had enough gravitational pull to sling him back to Dumbledore’s cause. Snape is a truly repentant man – he has definitively changed sides. Love has changed him. Love propels him into a life of danger and duplicity. As he insists to Dumbledore ‘No one must ever know’. Snape becomes the bad guy who protects the good guys from the worse guys – a thankless task. He does not have the luxury of becoming morally pure. If he did, he could no longer be the protector. Ultimately his part involves becoming the assassin who murders Albus Dumbledore. Nearly everything about Snape is ambiguous and conflicted. The one he is most sworn to protect is also the one he most despises: Harry Potter, son of Lily, but also son of the bully James Potter, who made Snape’s life a misery in his school days. Harry has her eyes, yes – but the rest of him is his father. Snape is at once friend and enemy – an ambivalence which he trades on throughout the story to play his double-agent part to perfection. The personal cost for Snape is enormous: he must live with no true friend in the world, no one who knows his secret, except Dumbledore. And he knows that great man does not really love him. Ultimately Dumbledore is using him, trading on his love for Lily Potter to extract Snape’s extreme services. Snape is completely alone. Thus in the end it turns out that the one character we dislike the most is the one who suffers the most, and the one character who has done everything out of love. What burns in Snape’s heart, when it is finally revealed, takes our breath away. And all the more because it is such a lost, hopeless, grief-filled love. The paradox of Snape is that he goes into the darkness so that others may enjoy the light. He is Rowling’s deepest character, and the true hero of the story. First, Snape is a very modern hero. He is not Dudley Do-right on his gleaming stead. Snape never gets any moral high ground, nor seeks it. He is so entangled with the forces and processes of evil that he cannot be clearly distinguished from it. The path of purity, for him, would represent the failure of courage, the abandonment of all he holds dear. Love demands that he dance with the devil. And isn’t that the story of ‘free democracy’ in modern times? The guys that claim the moral high ground, that stand on ideology, that won’t negotiate with terrorists or compromise principle, end up doing terrible harm (think Lenin in Russia, Bush in Iraq) – while the compromisers, the flexible ones who acknowledge realpolitik, are willing to get their hands dirty retrieving some good out of a messy, ugly reality. They work within corrupt systems and make them a little better, or prevent them getting worse. Not much glory there. They find unglamorous ways out of the glorious wars the ideologues started. Modern heroes – real ones – do not often keep clear of the mud. 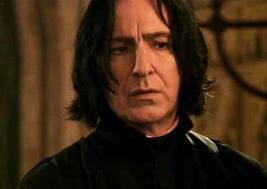 Second: Snape reminds us of our modern heroes, but isn’t there someone else he resembles? Isn’t Snape’s character and story – post-repentance – also in many ways modelled on Jesus Christ? Nadine Labaki, she’s the goods. Caramel was a film to make us richer on the inside. Now this new film is another gift to the world. Set in a small village in Lebanon, where Christian and Muslim try to live side by side in peace, the film is about religious tension and harmony. It traces the intricate dance performed by the village women of both faiths to keep their men from bloodshed. Their tactics are by turns comical, ridiculous, heart-breakingly brave, and breathtakingly bold. This really is a film to make you laugh and cry. There’s plenty of inventiveness in the plot to keep you interested and delighted. Apart from the story, the film gets a lot of mileage out of its women characters, whose earthy humour and colourful crudeness make for many funny scenes. The priest and imam get some great lines too. For those who don’t know her, Labaki stars in as well as directs her films. This time she’s not as dominant as in Caramel: it’s very much an ensemble film. While the film deals with real-life issues, the story-telling is not altogether realistic in style. The neat division into peace-loving, courageous women and war-loving, reactionary men is a bit stylised, as are the enlightened priest and imam characters. But we are persuaded to accept these oversimplifications for the sake of a good story: they give space for the convolutions of the story to unfold without becoming chaotic and unresolvable. There are fun musical-style scenes along the way, with a touch of Bollywood influence. But just a few. The music is pretty good, actually. The film is beautifully shaped, gradually gaining tension, which is relieved by plenty of lighter moments and the songs. It works up to the final punchline which really does pack a punch. Even if the first half does not always engage us emotionally, in hindsight you can see how it laid the foundation for an eye-opening climax. Nadine Labaki gets us to a place where we care by the end, we love these people. As a movie experience it’s ultimately quite satisfying. You go away a bit stunned, actually, with plenty to think about and chew over. Like about what it means to love your neighbour. And what price you’re willing to pay to maintain that love. A movie that has plenty to interest and move and challenge thoughtful evangelicals. Just saw it at the cinema, feeling grateful to Labaki for this new gift. I’ll be waiting for her next story. See it at the Palace Norton St Leichardt.